Apple Macintosh users have refused to conform to the Microsoft Windows majority, so it might be easier for them to move to open-source Linux. As a devoted Mac user with some Unix experience, however, I find Linux anything but an operating system for the rest of us. Instead, it makes a good hobby for those interested in spending the time it takes to learn the OS. I installed LinuxPPC 2000 from LinuxPPC Inc., one of the few versions of Linux designed for Power PC systems. Installing Linux on a system running Windows requires a user to track down various hardware specifications [GCN, Nov. 22, 1999, Page 25]. But on my test Mac, LinuxPPC booted right up from the CD-ROM. That's impressive, though still a long way from a usable installation. I then recruited some help from a hard-core Linux fan and from a fellow Mac enthusiast. I discovered that before starting, a user should read the LinuxPPC manual very carefully, then go online to www.linuxppc.com and www.linuxppc.org and spend half an hour checking for software updates and new information. As an evolving piece of open-source software, Linux is never finished, and LinuxPPC is less polished than its older, PC-compatible cousins. Any downloading and printing should be done before starting the installation, because surfing and printing won't happen from inside Linux anytime soon. Depending on the user's experience level, the installation could be a project for a long afternoon or a long weekend. First off, the target drive must be properly partitioned. This gets tricky. A partition is a section of a hard disk that has a particular format for storing files. Linux won't run from a Mac OS partition, and changing partitions requires reformatting the whole disk, erasing every file. That alone is enough to discourage many users. At least 350M of storage is necessary; 800M to 1G is better. I used a 1G Jaz drive from Iomega Corp. of Roy, Utah, which was much more convenient than reformatting the hard drive'once I got the SCSI chain working. But making Linux recognize the Jaz was a task in itself. I learned a lot about device numbers and the fdisk command. The details of choosing partition names and sizes are too complex to explain here. I had to read the manual carefully and figure out which parts to ignore. Fortunately, my helpers were standing by. We had originally partitioned the Jaz disk with the Drive Setup tool under Mac OS 9, but those partitions did not work. So, booting Linux from the CD'remembering to hold down 'c' when restarting'I clicked on Partition Drives and launched a program called Perldisk. I had the frightening sensation of being just clicks away from accidentally turning my G3 into a Linux-only machine. Linux does not hold the user's hand; it rather scarily assumes you know what you're doing. Once the partitions were in place, the hard disk was ready to receive the Linux installation. I pointed the installer at the just-created partitions, not a very intuitive process. Then I had to install a program called BootX, making sure to put it on the start-up disk, not the Jaz disk. BootX, which both an application and a system extension, would give me a choice of Linux or Mac OS at start-up. It took three tries to make the installation happy with the partitions we had selected, and at one point, despite my determination to do it all myself, my helper typed in a few mysterious phrases. Linux has a command line interface as MS-DOS and Unix do. To make Windows and Mac users feel more at home, LinuxPPC comes with two graphical interfaces, Gnome and KDE, but at times it's necessary to return to the stark command line. The user also must know which software packages to install out of the many provided. Unless there's an expert at hand, go with the default. And take care: If you mistakenly select the Japanese language tools, for example, the whole system boots in Japanese. During installation, the user must create the root identity and choose a password. Root is the top-dog user with unlimited ability to execute commands, or even to delete other users or destroy important system files. The first thing to do once the start-up is working smoothly is to create a different, less powerful identity so as not to inflict accidental damage. Once installation was complete, I had two operating systems peacefully coexisting. On start-up, BootX gave the choice of running Mac OS or Linux. When I chose the Linux boot, Gnome came up automatically, letting me point and click my way through a Windows-like environment, customizing like crazy. Inside Gnome, after I played carefully with direct commands based on my long-ago Unix experience, I soon began to understand the appeal and the limitations of Linux. It's powerful: Everything seems to be able to modify everything else. It's flexible, with vastly more options than a closed OS. It's fun: Individual programs are stamped with the personalities of their creators, who are Linux programmers from around the world. But Linux assumes that the user is a programmer, too, and one with lots of free time. Getting online was a typical experience. It took my helpers about four hours of experimentation, including some trips to Linux newsgroups to ask questions'via Mac OS, of course. Despite the reputation Linux has for stability, I did manage to cause some crashes, probably because of the graphical interface. My Linux helper acknowledged that he never uses anything so fancy, sticking mostly to text commands. There's the target market in a nutshell. Gnome is far behind Mac OS 9 as a graphical interface. I couldn't even find a useful search feature. If you close an important window, it might be gone for good or at least take a lot of searching to rediscover. It's easier to go to the command line, scary though that is, to get work done. I identified some Mac-specific compatibility issues. For example, Gnome requires three mouse buttons, though every Mac comes standard with a one-button mouse. There's a way to simulate the second and third buttons, but it's far from obvious and behaves inconsistently. If this is truly a Mac product, something so basic should be explained up front. Although I was able to mount various Mac disks, even the root identity could not change the permissions so that I could write to a Mac floppy disk. For hard-core Linux users, and those who want to learn the OS, such problems are exciting challenges to attack with the resources of the system itself and the wisdom of the Linux user community. For someone who just wants to copy files, it's a pain. I asked my experienced helper to give his own judgment of LinuxPPC for users who already know something about Linux. He concluded that it has not yet caught up to the Windows versions of Linux in ease of use. But all the basics are there, such as the RPM program installer, various shells and editors, and familiar keyboard shortcuts. Many free applications and demonstration programs come with the distribution, including Web hosting software and office tools. There's even a choice of kernels and a wealth of online resources for Linux on the Mac. In theory, it's the same as Linux anywhere and maybe better because Macs have fewer hardware issues than heterogeneous PCs do. I think of Linux and other Unix flavors as American muscle cars from the 1960s. Car buffs like nothing better than to spend nights and weekends under the hood, tinkering and learning, keeping the thing on the road. Cared for by a pro, Linux offers amazing levels of power. But most of us just want to get to work and the grocery store in a car that starts and runs predictably. When things go wrong, we call in experts, and every few years we buy a new vehicle, but that's the price we pay for not being mechanics. 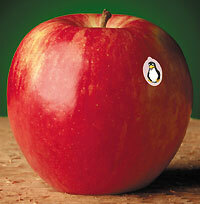 The folks at LinuxPPC have accomplished a great deal by bringing Linux to today's fast Macs at a very reasonable price. Mac programmers who already know Linux or Unix will find LinuxPPC a ticket into the world of community-maintained software with hardware they already own'a great advantage. Brave beginners who want to develop their skills can get started on the hard job of learning what's behind the graphical curtain. Mac users who just want to do word processing, e-mail, Web surfing and office work should resist the geek-macho appeal, however. The Mac OS is already optimized for Mac hardware and vice versa. Why mess with success? Joel Sparks, a free-lance reviewer in Silver Spring, Md., has been a government lawyer and database programmer.